After you listen, just click on the link, claim your package, and test this for yourself. You’ll be one of thousands who are glad they did. Discover how thousands of people, including doctors, are healing disease spontaneously and WITHOUT modern medicine. For your convenience, this teleseminar audios are broken into four segments of 15 to 20 minutes each. Why Isn’t Christopher Ryan Age 13 Dead? Christopher Ryan has been a miracle child since his diagnosis with Leukemia at 7 months of age. He should have died so many times. He lived through experimental procedures where the others weren’t so blessed. He had to take growth hormone shots to counteract the negative impact of chemo and other therapies on a growing child. And yet he remained small for his age. Are you ready to conquer disease naturally, using methods that will boost traditional medicine or proceed without it? Then you have finally reached the right place to start your journey and start understanding how to tap into your body’s natural ability to heal itself. • Discover the cause of 80 to 95 percent of all diseases, according to the CDC and Dr. Bruce Lipton, and the natural ways you can combat them. • Find out how Dr. Ben Johnson MD, cheated death and recovered from Lou Gehrig’s disease in a way no one expected. • Learn how you can turn on healing for your pets, children and family suffering from disease simply and easily. • Discover how others are restoring their health while healing their lives, regaining their happiness and restoring their relationships. What Happened to Dr. Ben’s Lou Gehrig’s Disease? As you read this page, you will start to feel more and more confident about your body’s ability to heal itself when offered the right tools… and the willingness to use them. Take the case of Dr. Ben…. Dr Ben had been in a car accident and undergone surgery on his neck.He experienced strange symptoms for about a year afterward. He decided they might be connected to something other than his car accident. The diagnosis from his Doctor was Lou Gehrig’s Disease, confirmed by lab tests.He went to another Doctor and received the same diagnosis. Lou Gehrig’s is fatal for 50% within 18 months of diagnosis, 80% within 5 years, and 99.99% within10 years as the body steadily loses function. At the time or Dr. Ben’s diagnosis, there were no known cures or treatments that provided any significant benefits…Where do you go? Lorrie Rivers, Age 24, Collapsed. Imagine what it would be like if you were carrying out your daily tasks, when suddenly you collapsed… Lorrie Rivers did. In 1996, Lorrie was 24 years old when she collapsed on a film set working as a production assistant. It hadn’t happened before, she figured she would be up and around in a few days. What would you think when you didn’t have the energy to get out of bed most days? It’s a year later, and if you fall on the floor, someone has to help you get up. What If There Was A Simple Solution To Most Ailments…From A Simple Cold To Lou Gehrig’s? You probably know, we are not physical. We are frequencies experiencing a world that appears solid. Now, even though most of us can hear, “Everything is frequency”, most of us have a very difficult time wrapping our mind around that view of the universe. Think about it. If you flip a light switch, you make light. If you stub your toe, you make pain. You experience these events more easily than you understand the direct science behind them, right? It’s simple however, to translate those experiences into how your body has the ability to heal itself naturally. The fact that we sense things is our first key. The world is not solid. It is governed by electricity and frequencies. Among these is stress. Stress has a negative impact on our body. What does stress do to your body? Stress suppresses your body’s natural ability to heal. When you are under too much stress, you get a cold when others didn’t. Stress slows or stops the healing process. That’s how an important concept arose in the field of natural medicine. Stress Strengthens Germs, Viruses & Bacteria. Without Stress, any ailment is missing a key catalyst required to overwhelm your immune system. With Stress, every disease and disorder on the planet is just waiting its turn in line to make you sick, tired, unhappy and old before your time. They have their “stress-created” ticket. And several may get onboard at one time.If you can conquer stress, your immune system can overcome almost anything. You were born with the greatest Healing Tool on the planet. Not all of the money of all the drug pushing pharmaceutical cartels can duplicate the performance of the Healing System you were born with. Stress is the source of disease, depression and unhappiness! According to the Center for Disease Control In Atlanta, Stress Causes Over 80 Percent Of All Disease! The Healing Codes is a tool, you can use from the comfort of your bed, to flip the switch that alters your stress frequencies. Christopher Ryan Remember Christopher Ryan? Christopher Ryan started throwing up. He had acid reflux so bad he had problems sleeping. His mother prayed and scheduled another appointment for Christopher at St Jude’s Hospital. We’ll tell you the rest of the story below. His symptoms got so bad, it looked like there were worms crawling underneath his skin. The Doctor next door to his offices was running as test program to treat Lou Gehrig’s with stem cells. The FDA shut it down because of lack of positive results. Dr. Ben Johnson could find no help or hope for his steadily progressing disease. Where do people go when they run out of hope and out of choices? Remember Lorrie Rivers? The young woman suffering from chronic fatigue? What would you think if you didn’t have the energy to stay out of bed 3 years later? What if the trip from upstairs to downstairs was too much for you to make most days? We’re talking about change at unconscious levels.You may have memories you have suppressed, inherited or which don’t seem important.How do you change stress creating memories and their frequencies if you don’t even know they are there? According to research, attempting to change the unconscious with the conscious is a feat doomed to failure more than to success. And you don’t even need the research. You have tried unsuccessfully before to make change… Or you wouldn’t be on this page. In order to cancel one frequency you match it with it’s equal opposite. That’s Physics 101. Your body is a frequency generator. By linking your mind to your body’s natural frequency generating abilities, you can send a counter signal to negative memories. You can counteract the negative impacting frequencies without having to discover, review or relive the negative memory. You can have an infinite number of memories. But there are limited negative emotions that can be attached to those memories. By working our way through positive opposites, we can cancel the broadcast of negative frequencies. When your mind thinks fear thoughts, you send fear frequencies. These negative frequencies can be countered by using a coded sequence linking your best self to your body’s natural frequency broadcasting abilities. Ben’s daughter learned to use The Healing Codes by herself at seven years of age. You can do it too. “So fast-forward a few years and Christopher is doing great medically. He has a few little problems. He has some thyroid problems. He’s starting to have some growth problems. He has some behavioral problems. We’re not real concerned. We’re very happy that he is doing great. He’s progressing. He doesn’t have cancer. You know, once you’ve had cancer everything else pales in comparison to that. A couple more years went by and things in his body started breaking down. And he looked at me and said, “That’s okay, Mom. At least I get to have another birthday.” That really touched my heart. After that, we thought everything was fine. We thought, “Okay, this was one weird thing…no big deal…it’s over. “They also said his cortisol levels were really low – his adrenal function”. ‘I got his phone number. I called him the very next day, and it was Dr. Alex Loyd. That very day, he emailed me The Healing Codes manual. I went over it that day. It sounded great to me, because when you are desperate, you will try anything. We had tried natural remedies on Christopher. We had done amino acids, vitamins, supplements, herbals. you name it, we had tried it. But he was still throwing up and the doctors were at a loss. So I read through The Healing Codes that night. The very next morning I started it on Christopher, and I started doing it on myself because I wanted to make sure I was good to do it on Chris. We did the twelve days, and we went back to St. Jude’s. They did CT scans, MRI’s, upper GI’s, blood work. you name it, they did it. And the results of every single one of those tests was clear. There was not anything, and he had stopped throwing up at this point, so I was convinced. ‘The other thing that happened with The Healing Codes during those twelve days was that Christopher grew a centimeter. Christopher has to take growth hormone shots every single night – he has since he was six years old. He grew a centimeter. Normal growth for him is 2-3 centimeters in one year. I am a fierce dinosaur. I wonder if I have a friend. I hear cries of others like me. I see others like me. I pretend that I have a home. I touch things like meat. I worry that I will die. I cry if I bite my tail. I understand what it feels like to be a dinosaur. I dream that I am the strongest dinosaur. I try to be the biggest dinosaur. – Written by Christopher Ryan during his illness. and your finances… And you were born with it. Dr Ben heard about a seminar for a new healing technology. “I was impressed with the testimonials; but, they weren’t nearly as important to me as the scientific explanation of how, what appeared to be miracles, could take place. I began to use The Healing Codes. I used what’s referred to as the fast start program. Six weeks later and there were still no results. Then over the next two weeks, all symptoms disappeared. I went back to the lab. No trace of Lou Gering’s Disease could be found. Please join us and use this technology for yourself, your family and even your pets. “I wasn’t one of those overnight successes. I consider Dr. Ben’s eight weeks an overnight success. I heard about The Healing Codes, because I was listed on the internet as an EFT Practitioner and someone sent me information about The Healing Codes. EFT had helped with my CFS; but the results didn’t seem to be sticking and weren’t providing as much change as I wanted. I almost deleted the email. I let it sit there awhile. I finally looked. I listened to a conference call. I prayed for guidance, ‘Please let me know by two days from now by 11:00 AM.’ I awoke that morning as if I was living the life I wanted to live. It was really weird; but it was really cool. I decided that was my answer. There were days when I had a hard time getting up or down the stairs. It was tough for me to set out from South Carolina for a training programming Nashville. At the seminar, I was delighted to meet Mark Victor Hansen, co-author of the fabulous Chicken Soup for Soul Books, who was there to learn more for himself. During the training, I spent a lot of time in the car crying from pain or lying down in the lobby. I was in the bed for a week after. Within the first two weeks of starting The Healing Codes, huge cravings for sugar and carbohydrates disappeared even though I wasn’t working on that. It was about two or 2.5 years before I could say I put Chronic Fatigue Syndrome behind me. I was not an overnight success story. But I felt so much more in control once I started, I continued. I felt so much better emotionally. You feel so helpless when you have something you can’t seem to do anything about. The Healing Codes gave me a sense I was beginning to have some influence over my health and destiny. CFS, sometimes, kept my brain from concentrating and focusing. One day I couldn’t find my way to the grocery store I had been going to for many, many years. I spent almost three years in bed. Actually we don’t want to kill stress. It serves a good and natural purpose. However, it can get stuck in Fight or Flight Mode and wreak havoc with our lives. Fight or Flight kicks in when there is an emergency. Basically the emergency shuts down a lot of your body’s natural functions. When you are faced with a saber tooth tiger, your digestive system can be put on hold for a bit. Your immune system uses an immense amount of energy. Your Survival Mechanisms will pull the energy from your immune system to have it available if you are running from lions, tigers and bears. And your immune system shuts down. Unfortunately, it doesn’t always restore itself fully. So it’s nibbled away. Your brain uses a great deal of your body’s resources and it will lose a lot of its abilities until the emergency passes. Your brain dims down to almost true stupidity levels when you are under stress. Can you think of a time when you did or said something truly stupid? You were operating on diminished capacity because of stress. They don’t take in proper amounts of oxygen, water or nutrients. They don’t release wastes and toxins. They don’t communicate with other nearby cells to help keep you healthy. No wonder we get sick from stress. Dr. Ben Johnson, MD, describes your Secret Healing Software. The Center for Disease Control and Dr. Bruce Lipton on the Cause of 80% to 95% of all disease? Alex Loyd, PhD and Ben Johnson, MD on the Three Necessary Components of Healing? How Ben Johnson MD, cheated Death and recovered from Lou Gehrig’s Disease. Simply Click Play on Track 1 to listen to our teleseminar where Dr. Alex Loyd discusses the many benefits of using the Healing Codes. In any financial transaction, one or both parties have to trust the other. Is the product really that good? We can’t send The Healing Codes out for free and provide Individualized, Personalized Codes for you by one of our certified Healing Code professionals. That would be nice. We don’t have that kind of money; plus, people rarely respect what they don’t pay for. We can allow you to experience this package by covering most of our hard costs. We will get this package into your hands for a $99.01 deposit. Experience it. Use it. Work with your own Certified Healing Codes Practitioner to receive Customized Codes specifically for you. Then if you decide it is as simple to use as we say… Just keep it, use it and our shopping cart will automatically charge you 3 more payments of $233.33. You have a one year money back guarantee. You can return it and receive whatever you have back within the next year. Your deposit is $99.01 plus $19.75 for Shipping & Handling Charges. You pay a little bit more for shipping to far off lands. We’re so sure The Healing Codes will have a dramatic effect on your health and well-being … that we’re offering the following unconditional guarantee: If you’re not satisfied with the results you get with The Healing Codes for any reason whatsoever, simply tell us within 365 days and we’ll give you a prompt, courteous refund. No questions asked. Remember: You have ONE WHOLE YEAR to put The Healing Codes to the test. If you are not TOTALLY satisfied for any reason, simply send us an e-mail within 365 days of ordering, and we’ll gladly issue you a refund of your entire purchase price. That’s a money back guarantee for any reason. If you find you should own this package for life for you, your family and even your pets, you will owe us three more payments of $233.33 each. We will lose some money from individual clients who return the package. In the long run, we will make money from those who choose to use the package to counteract current and future stress to heal your life in ways you have to experience to appreciate. Now this offer is only for those who will promise us you will take and use the package. For those who are merely curious and not committed to their own health, the health of their family and just want to satisfy their curiosity, please, don’t bother. If you’re not serious, please, don’t bother. This is about getting this program into the hands of those who need it, want it and will agree to use it. You can be started in twenty minutes from the time you receive the package. YES! 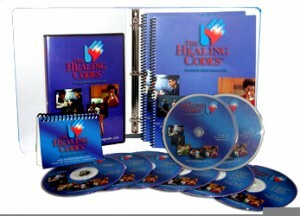 I Want My Own Healing codes Package!Alex, please ship my package now. I understand I should receive my package within 7-10 business days. I understand that, once my order is authorized, you will process my order promptly to ship to me and I am providing a street shipping address. I understand that, I receive eight personalized Codes from a Certified Healing Codes Practitioner. I understand I can use this my package for only a $99.01 deposit and test this for myself. I will be charged my 3 additional, automatic payments of $233.33 every 30 days until paid in full. I understand you are offering me a one year money back guarantee because you want me to use and test this technology thoroughly and I promise to do my part and use my Codes.